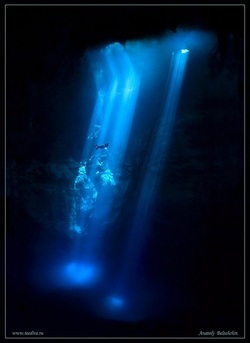 Divers come to Mexico's Riviera Maya from all over the world for cenote cavern diving. 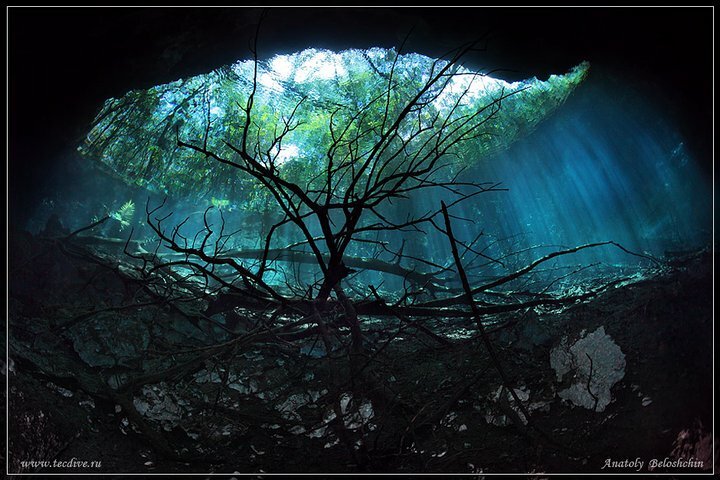 Join Scuba-Mex Dive Center in Paamul, Mexico for a cenote diving adventure! The Yucatan Peninsula is a limestone shelf with no rivers. Rainwater seeps through the limestone rock and runs into the underground caves and rivers to the Caribbean Sea. Over centuries, weaknesses in the cave roofs caused them to collapse, leaving sinkholes open to the surface. In the Mayan world these cavern openings are called cenotes (say-no-tays). 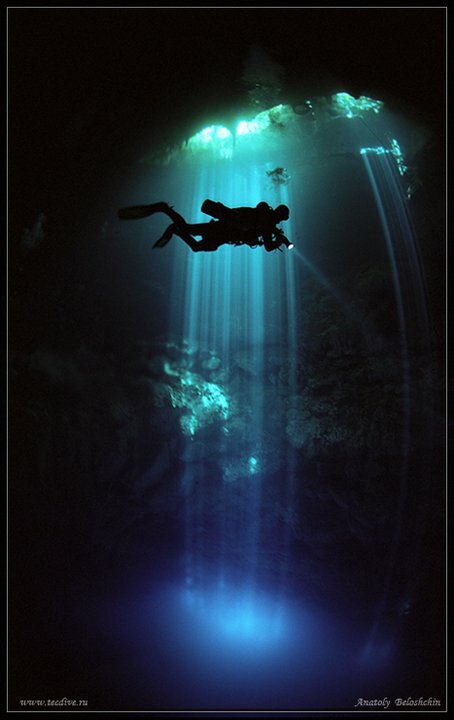 Scuba-Mex Dive Center takes certified open water divers on cenote cavern dives every week. 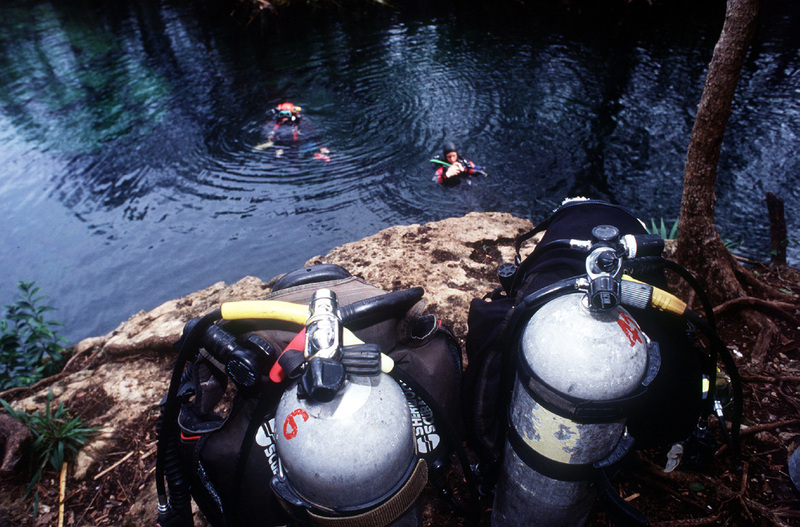 Divers go in small groups (maximum 4 divers per divemaster) with an experienced Full Cave Diver. 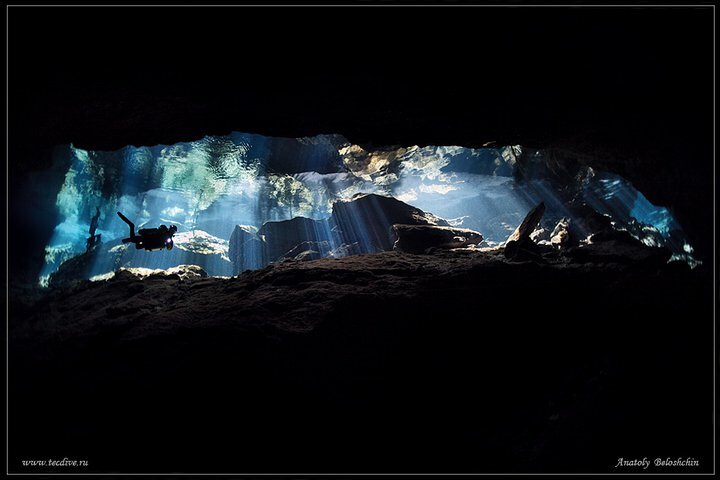 Cenote cavern dives stay within sight of natural daylight. Cenote cavern dives are a unique experience. The water is crystal clear and fresh. 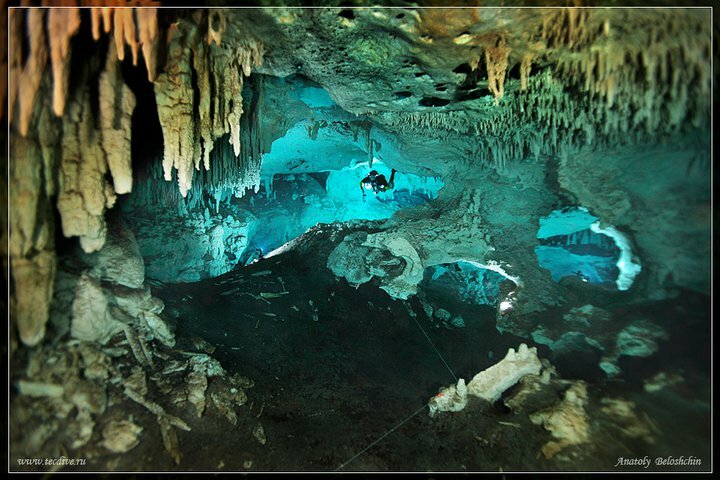 Divers can see the beautiful mineral formations in the cenote cavern. 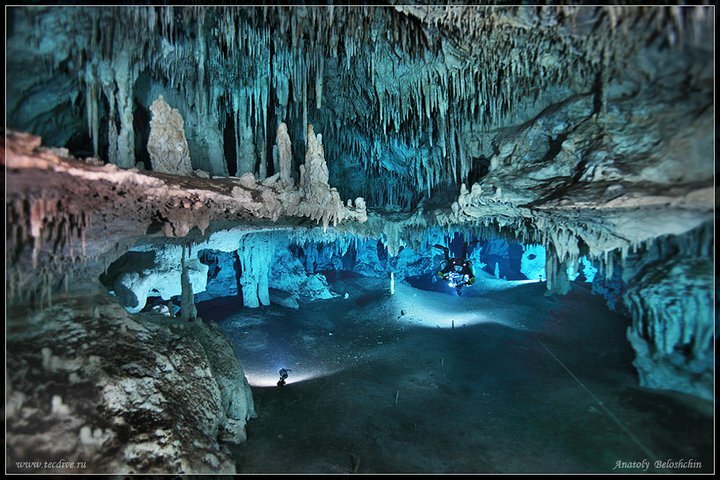 Unlike cave systems in most of the world,the Yucatan's underground rivers are close to the surface. This means longer dive times in shallower depth. 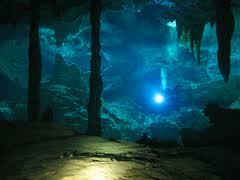 Cenote cavern dives are not effected by the ocean's temperament, so the water is always calm and clear. 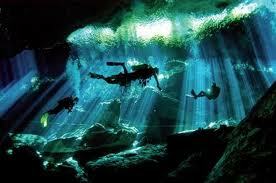 At Scuba-Mex Dive Center we are proud to have the premier Cavern/Cenote/Cave Instructor in this area as one of our staff. Mario Zabaleta is a PADI and SSI Instructor with more than 10,000 dives experience and more than 500 certifications to his credit. He was born in Spain but moved to Playa del Carmen and has been diving and teaching here since 1991. 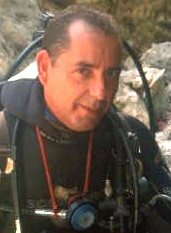 Mario completed his cave diving training in 1995 and has been conducting almost all of our Cavern/Cenote dives since then. With a 100% safety record, 2500+ cavern dives and a fantastic concern regarding diver safety and enjoyment he is one of our finest assets. 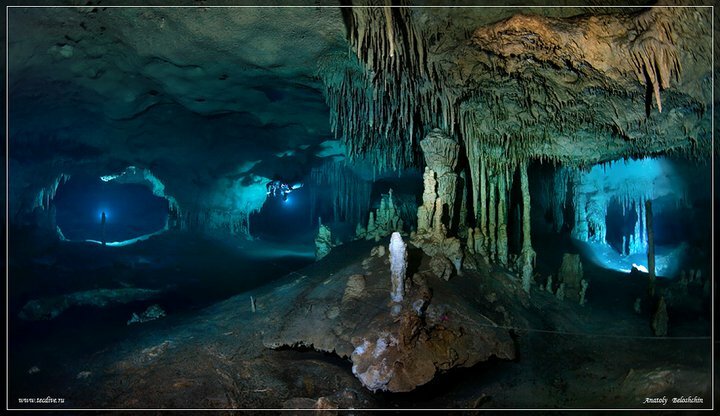 Cavern/Cenote diving is an entirely different world from ocean diving and the striking differences will be immediately apparent when you slip into the crystal clear water where visibility is unlimited and stalactites and stalagmites accent your underwater world. 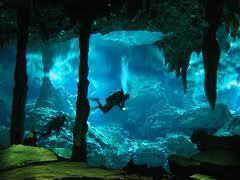 Cavern/Cenote diving will greatly compliment your dive trip and complete your dive experiences. If you decide to discover the cenote experience as seen in the photographs above Mario can assure you a genuinely remarkable experience you will never forget. Every Cavern/Cenote dive is custom designed to meet your level of experience, your group size, and any special requests you may have.